Like the landmark piece of literature from which it takes its name, Genji Japanese Restaurant is steeped in generations of Japanese culture. The chefs here spend their days creating faithful renditions of classic dishes, including seared tuna with Japanese mustard, flash-fried blue crab with ponzu, and skewered black tiger shrimp glazed in teriyaki sauce. However, that doesn’t mean they’re afraid to be inventive. Take, for example, the sushi pizza, which blends fresh cuts of salmon, tuna, and king crab with vegetables and Japanese mayo atop a crispy fried rice patty. Promotional value expires 90 days after purchase. Amount paid never expires. Limit 2 per person, may buy 2 additional as gift(s). Limit 1 per visit. May be repurchased every 60 days. Valid for dine in only. Valid for dinner only. Not valid Fridays or holidays including Valentine’s Day. 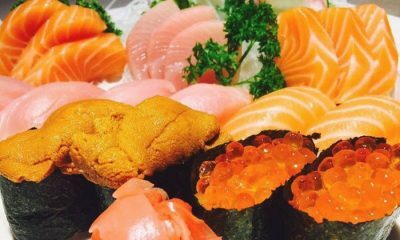 Valid towards orders from grills, lobster, set dinner, dinner for two, keade, tsukiji, sakura, and umi. For two, you must purchase one item from sashimi moriawase, sushi moraiwase, the grill, tempura combo or sets. For four, you must purchase two items from sashimi moriawase, sushi moraiwase, the grill, tempura combo or sets. Not valid for noodles or dons. Cannot combine with any other offers, promotions, or special events. Merchant is solely responsible to purchasers for the care and quality of the advertised goods and services.